The first 1932 Ford was built on March 30, 1932.
publisher of the Border Cities Star. 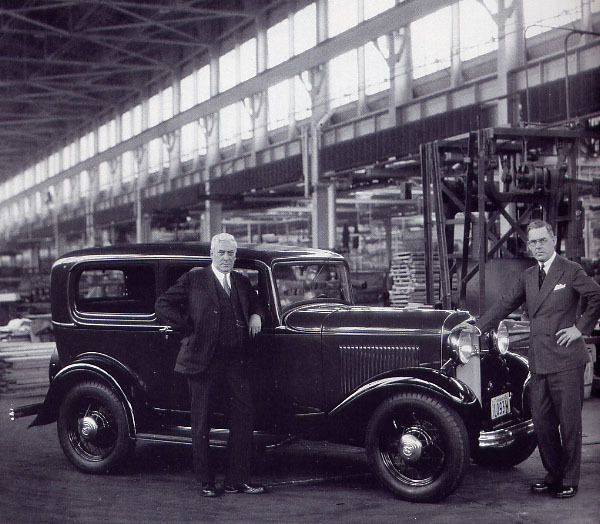 The first V-8 Ford engine was produced in Windsor East, Ontario on February 11, 1932. 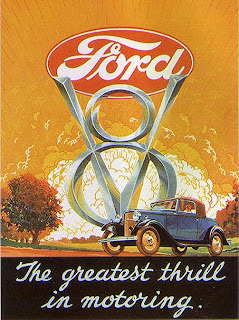 On March 30, the first completed Ford V-8 rolled off the lines to great excitement and fanfare worthy of King George VI. On hand for the auspicious occasion were company president Wallace Campbell and W. F. Herman, publisher of the Border Cities Star. The two men immediately took the Tudor Sedan for a spin. According to all accounts, the car ran fine. Ford was no newcomer to the Canadian and Empire automotive industry. The company had gotten its start in this country in 1904 when Gordon McGregor turned his Windsor, Ontario wagon works into an automobile manufacturer by signing a deal with one Henry Ford of Dearborn, Michigan. Though the company got off to a rocky start, the two had done well together. By 1917 Ford had bested Imperial Oil Limited as the biggest taxpayer in the country and could brag that more than 40 percent of all the automobiles on the highways and byways of the Dominion came from the company’s workers. The Tin Lizzie enjoyed a phenomenally long run and then bowed to Henry’s Lady, who took centre stage in 1928. Then production of the graceful Ford ceased again in 1931 as the company geared up for its third round at automotive history. Rumours ran rampant as an entire nation waited eagerly for the replacement to the Model A. The V-8 power plant created by engineers for the 1932 Ford represented yet another breakthrough in cutting edge technology for the company. When it was unveiled, the 1932 Ford was a wonder and another spectacular triumph for Ford. 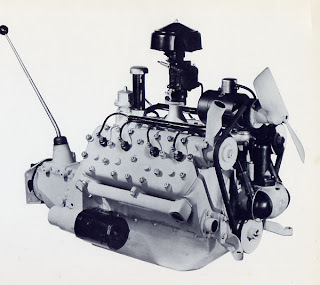 What made this new generation of Ford so special was a revolutionary compact block, flathead V-8 engine. Cast in one piece, the extraordinary mill measured 221 cubic inches, rated a whopping 65 horsepower and promised to deliver 80 miles (ancient Canadian units of measurement) per hour. Styling for the new Ford was thoroughly modern. Edsel Ford was responsible for the chic look. His flair for automotive design shone through loud and clear on the new Ford. The lines flowed from a tastefully Vee’d rad and sheet metal was accented with rustless steel trim, something Henry Ford personally insisted upon incorporating in the new design. Fully crowned fenders were painted black in contrast to a wide array of body colours. The 1932 Ford Deluxe Roadster sold for $570 f.o.b. Windsor, Ontario before taxes. 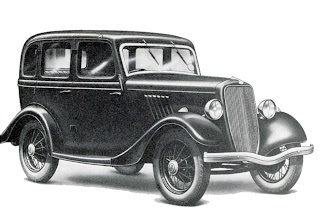 While our American neighbours could buy a new Ford in one of 16 configurations, price and availability lists show that consumers on our side of the border could choose among 19 body styles and trim levels for 1932. Prices ranged from a very modest $515 for the Roadster to $810 for the ritzy, head-turning Special Town Sedan. To put these prices in perspective, the price of the 1932 Plymouth Roadster, built across town from Ford, listed for $655. Also in the low-priced field were the Chevrolet Confederation Roadster at $635 and the Willys Six Model 97 Roadster with its $650 price tag. Even with prices this affordable, maple syrup ran uphill faster in a January blizzard than one could chart automobile sales. The business downturn that had begun in the fall of 1929 with the crash of the New York stock market continued to plague every sector of the economy. From bankers to farmers, everyone suffered. Wheat fell from an all-time high in 1929 to 34 cents a bushel. Sales of anything new anywhere were few and far between. Factories were shuttered right across the Dominion and men were thrown out of work. Ottawa estimated that 25 percent of the workforce was idled. As many as 70,000 homeless men wandered the countryside, in search of any kind of jobs. In May Members of Parliament took a 10 percent wage cut but the symbolic gesture didn’t help. Desperate men hopped on freight cars and rode the rails until the government made that activity illegal late in the year. With the help of the Royal Canadian Army, the unemployed were rounded up and interned by the thousands into work camps. With the economy so unstable, Ford’s marketing department figured it would be difficult to sell the public on an automobile with eight cylinders, no matter how cheap it might be. Just to be on the safe side, the boys at Ford in the USA wisely introduced a Model B alongside the V-8. The 1932 Ford Sport Coupe carried a $625 price tag. While the two cars looked alike, the exterior difference could be noted only by the discrete V-8 insignia but it was readily evident when the hood was lifted. The Model B had only four cylinders. The miserly little four-banger was essentially an update of the durable Model A engine. Management in Windsor did offer the four-cylinder Model B for the 1932 model year. Records show that a total of 3,067 of the eight-cylinder Fords were built. A handful of the four-bangers was built in 1933 but that was also the same year that the company began to sell Ford passenger cars built the UK. 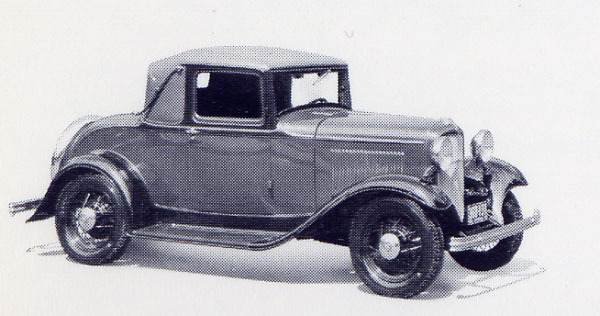 Assembly and sales of the domestically-built Ford four-cylinder car was terminated in favour of the small British Ford at the end of the 1933 selling season. With the 1932 Fords ready for sale, dealers right across the country could heave a sigh of relief. Showrooms had been bare; there had been absolutely no product to sell for five long months. Advertised as “the Canadian car,” the new Ford laid claim to being “low, good-looking” and “modern.” The wide seats were upholstered in leather or Bedford Cord. Windows were made of safety glass and the base price included single-bar bumpers. The 1932 Ford Fordor sold for $605 and the Town Sedan listed for $755. The cars were graceful and sleek to look at and speedy on the streets. The V-8 engine was a marvel, offering five times as much horsepower as its Chevrolet archrival. With sales of 10, 832 bowties, Chev would yield the Number One Spot to Ford for the year. A total of 8,302 units of the V-8 Fords were sold in Canada in 1932. Added in with sales of the Model B, the total came to 11,447 units delivered for the calendar year. That was a bitter disappointment. The figure was down sharply from 16,565 units in 1931 and 36,306 units delivered in 1930. Things were equally tough in the Dominion of Newfoundland. Only 16 Ford passenger cars and three trucks were imported from Canada in 1932. The economy would get even worse before it got better. A poor business climate, miserable weather and crop failure would continue to cripple the nation and drive people to their knees. If 1932 had looked bad, both Ford and the Dominion would fare even worse in 1933.